This is probably my first across border review of a cafe and I hope that I will have a lot more opportunities to visit the cafe in Bangkok. Yes, I am now based in Bangkok and its really been a wonderful experience here. Where I am staying is quite away from the city area but not that far either. 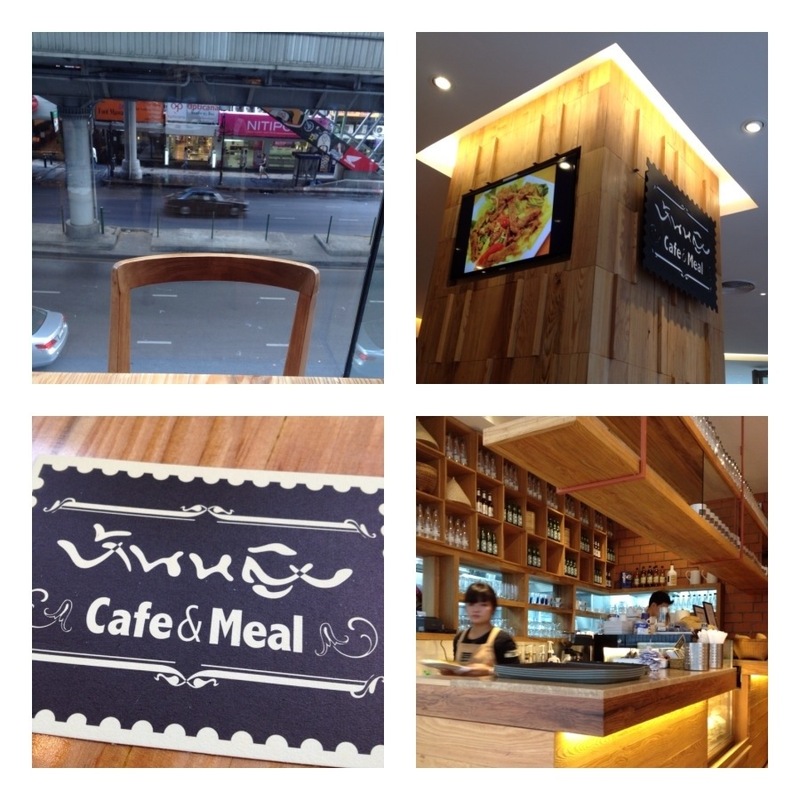 Before I came over, I had made several trips to Bangkok to settle some issues and I bummed into Baan Ying Cafe when a counterpart wanted to meet at Silom Complex. I decided to go there early to shop around before meeting up with him. I was first attracted by the woody interior of the cafe. For those people who have been following me, you know that I like woody stuff and any interior that is woody will attract me in. Not only the furnitures are wood but the walls and many other things are wood as well. I like the feeling of being immersed in this woody environment. I decided to sit down by the window and overlooked Silom. Didn’t exactly know what to order I decided to order something light. I ordered a shredded mango salad with fried fish and a coconut freeze. I didn’t think too much about what ordered and as a matter of fact, I didn’t have the intention to review the cafe anyway. 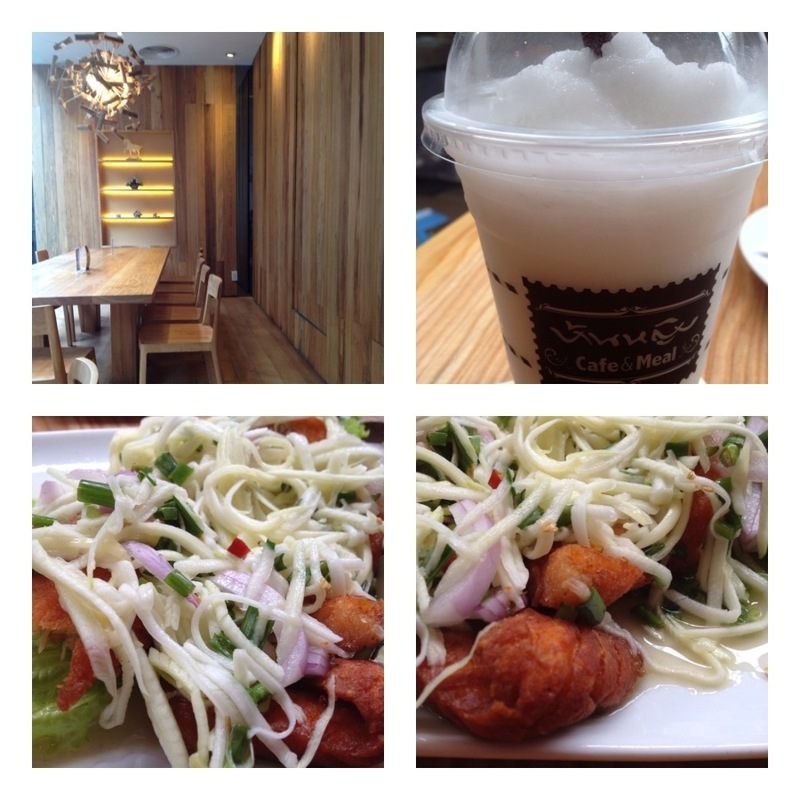 When the food arrived, and when I started tasting it, let me say this, the coconut freeze was so refreshing and divine. I wasn’t too sure if I was really thirsty or something but I felt so refreshed after taking my first sip from it. I went on to try the salad. The shredded mango is cold and sourish and sweet and it compliments so well with the fried fish which is hot and crispy. I must say that I really love the salad dish that day. The two items had certainly made my day. Nothing really tastes as good as the two items after that. Anyway that was my last day for that Bangkok trip and good to end the trip with a nice salad and drink. I would certainly recommend that you travel down to Silom Station by the BTS and experience this simple but yet extraordinary cafe in Silom Complex. It’s hard to find your blog in google. I found it on 22 spot, you should build quality backlinks , it will help you to increase traffic.